While most of the cast of Star Wars: Episode VII has been revealed, there are probably dozens of smaller roles that have been and will be cast, but since they're not major roles, they won't be announced as news. However, Lucasfilm and Disney have gone out of their way to announce the casting of two unknown talents in the film following their open casting call last year that hit 11 cities in the United States and United Kingdom where 37,000 people came to audition, along with 30,000 more applying online. 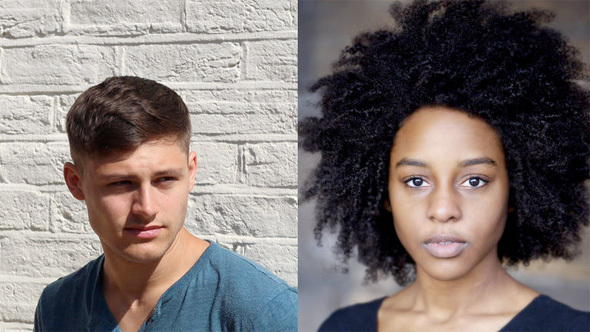 The two names are Crystal Clarke, an American studying across the pond, and Pip Anderson, an actor from the UK. In addition, for those worried about the film being delayed, especially following a rumor that Harrison Ford's injury sustained on set would keep him away from filming for six month, Lucasfilm addressed their concerns. The press release says, "In August, the team will take a brief two-week hiatus while adjustments to the current production schedule are made as actor Harrison Ford recovers from a leg injury. Harrison is doing well and is looking forward to returning to the set soon. Shooting remains on track to wrap in the fall with the film scheduled for release on December 18, 2015." So there are no plans for delay. As you might have guessed, this isn't actually footage from the set of the film. Instead, this is a fan creation from YouTube user Frank Wunderlich (via THR), who created this little piece of video with some familiar Star Wars vehicles being stationed at a German airport. Wunderlich says, "I took these pictures on my flight back from the States to Germany at the Frankfurt Airport. Seems like the biggest German airport plays a key role as an imperial starport in the new episode -- there have just been imperial forces at the scene. Maybe the Rebelboys hide in Berlin." Many knew the footage was fake, but that hasn't stopped the impressive video from going viral, mostly because of the seamless effects bringing AT-STs, AT-ATs and Imperial shuttles to life on the tarmac. Sounds like this guy needs a job in the movies. Cool? LOL. That "set" is great. Germany? Looks like they were there to transport the strudel to the Death Star. I mean, it's strudel!